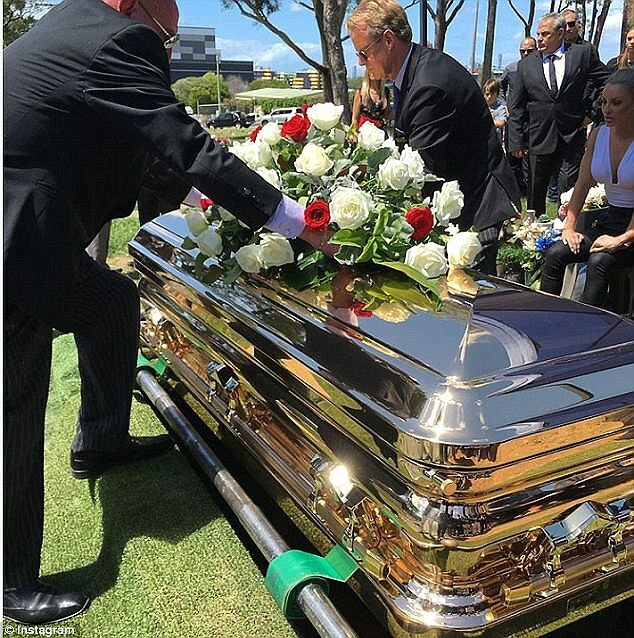 Former Comanchero bikie boss Mark Buddle paid $45,000 to bury his mother in a gold casket, but didn’t attend the funeral. Senior members of the Comanchero gang stepped out in their trademark garb at Botany cemetery in south-eastern Sydney, showing respect for the former national president. Buddle’s mother passed away on a visit to Dubai, where he is believed to have spent time while on the run with a number of other bikie members. He is said to be living between Dubai and Turkey, according to The Daily Telegraph. Strike Force Raptor invaded the funeral, where they forced bikie members to take off their shoes so they could search for drugs or weapons. Members of the gang shared pictures at the funeral to to Instagram, where they were dressed in full colours. One of the captions read: ‘Brothers through the good times and the bad #loyalty #respect #support #comos’. ‘Our respects to our loyal brother Mark Buddle on his loss #respect #love #loyalty,’ another capton read. 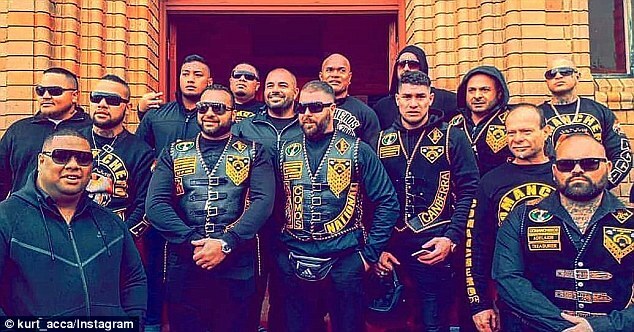 Buddle appointed himself president of the outlaw motorcycle gang after Mahmoud ‘Mick’ Hawi was arrested for murder in 2009. The self-exiled boss left Australia in 2010 after a security guard was fatally shot. He is still wanted for questioning over the shooting. After he fled the country, feuds were caused between members of the gang that wanted to stay loyal, and those that wanted a new leader in Australia. 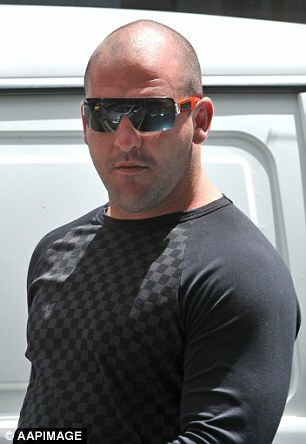 Violence reportedly heightened when Buddle’s right-hand man, Ali Bazzi, returned to Australian soil. Infighting which broke out while Buddle was in Europe which prompted the national president to text Comanchero members in September. ‘I’m the f***ing commander of the world … no one is to touch another member or set up another chapter without my permission,’ he said, according to The Sydney Morning Herald. The text followed a series of violent incidents that police feared could lead to an all-out civil war within the Comanchero. 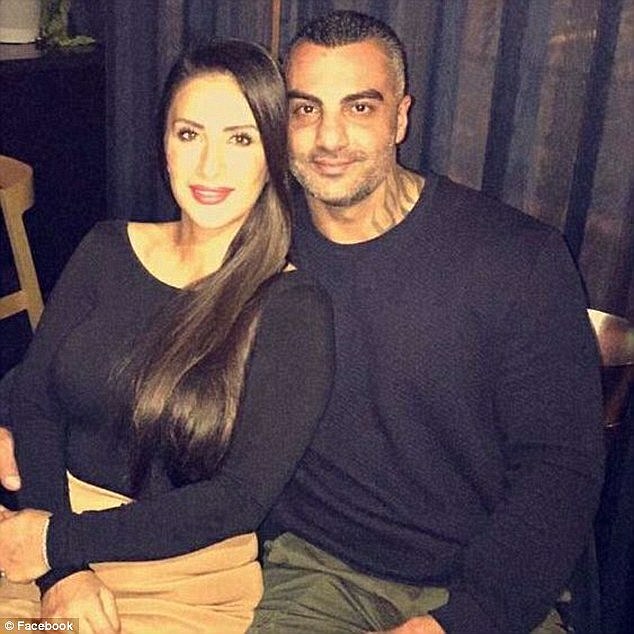 Earlier this year, former Comanchero bikie boss Mahmoud ‘Mick’ Hawi, was gunned down outside a gym in Rockdale and was believed to be at war with Buddle. Buddle appointed himself president of the outlaw motorcycle gang after Mahmoud ‘Mick’ Hawi (pictured, right0 was arrested for murder in 2009. Buddle clashed with Hawi six weeks before the death, leaving tensions high between the two bikie powerbrokers. The violent execution of Hawi raised fears of a bikie war, with police confirming he has many enemies, including Buddle. Hawi was succeeded as the Comanchero national president after being arrested for his role in a fatal brawl at Sydney Airport in 2009. The former Punchbowl High School student and married father-of-two was found guilty of murder over the killing but conviction was later overturned.